What a sweetie he is! LOving your colours and design.. Cute winter card. 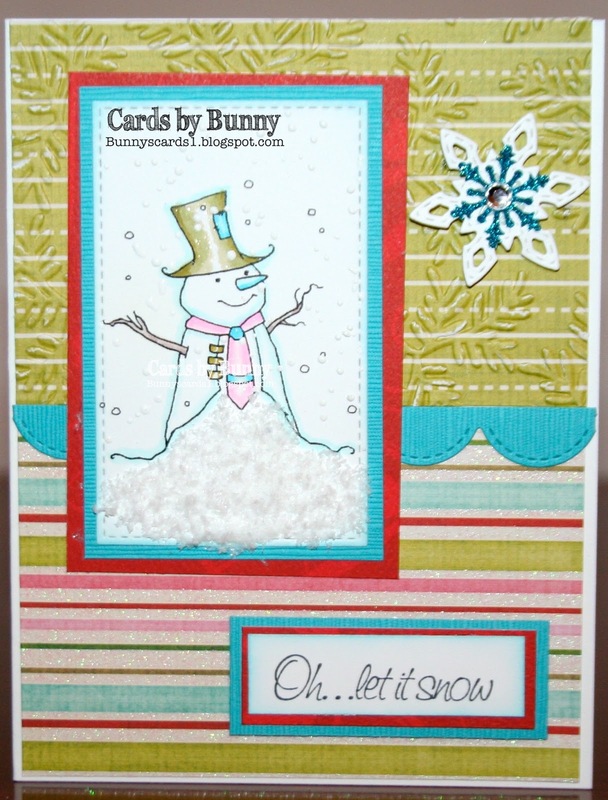 Thanks for sharing with Eureka Stamps this week. Adding pink to the colour combo makes this a truly modern Christmas card. Thanks for joining us for A Day for Daisies' 'Modern Christmas' challenge. Please join us again soon. So super cute, I like the sentiment and the stamped image is great. I like you added some dimension. Thank you for entering the Eureka Stamp's challenge. Good luck. Very cute card! Love the snow! Thanks so much for playing along with us over on the Simon Says Stamp Wednesday Challenge blog! Really like the colours you've used, very zany and non-trad.